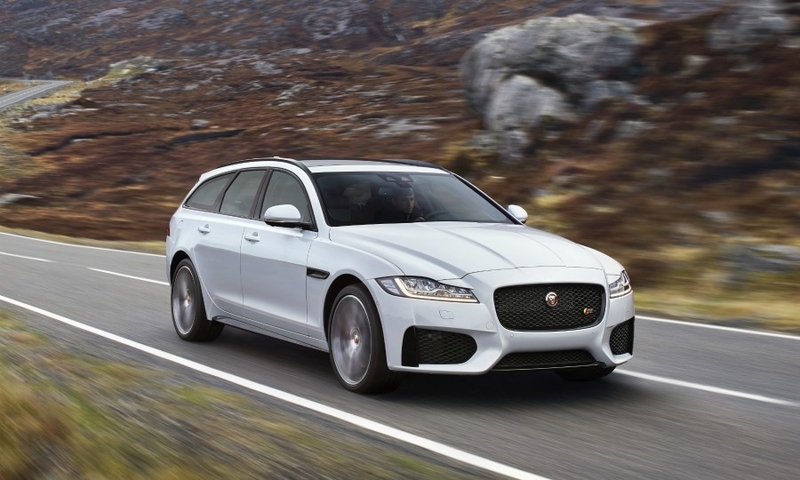 LONDON -- Jaguar says its new XF Sportbrake wagon will offer practicality without sacrificing the dynamic design and agile handling of the XF sedan. 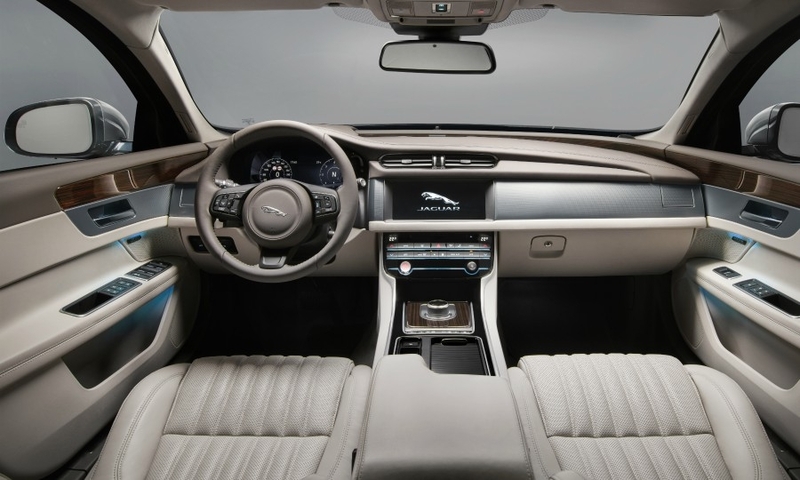 Jaguar released pictures and details of the midsize wagon on Wednesday, touting its sports-car dynamics and sleek looks will build on the success of the XF sedan. The XF Sportbrake will compete against cars such as the BMW 5-series Touring, Audi A6 Avant and Mercedes-Benz E-class wagon. 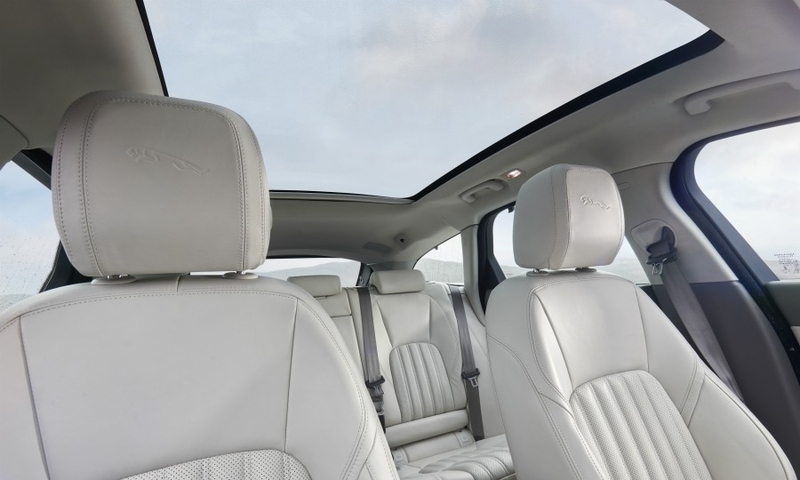 The XF Sportbrake’s technology includes an optional panoramic roof that can be operated by hand gestures. The car is also available with a waterproof wristband that allows owners to open the door without the key, a useful feature at the beach for example. Engines available include two diesel four-cylinder and two gasoline four-cylinder variants, all part of Jaguar Land Rover’s new Ingenium range of engines. A faster model is equipped with a V-6 diesel making 296 hp. Jaguar says the low drag on the model helps to reduce fuel consumption and carbon emissions. The most fuel efficient model is the 161-hp diesel with CO2 emissions of 118 grams per kilometer, Jaguar said. The car is built on Jaguar’s rear-wheel-drive aluminum architecture shared with the smaller XE, F-Pace SUV and new Range Rover Velar SUV. The lightest version is 1,660kg, Jaguar said. 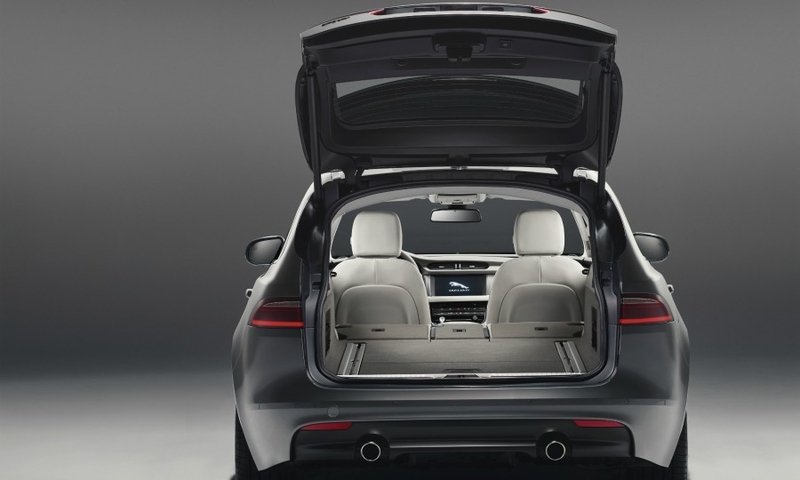 The XF Sportbrake’s trunk has a 565-liter capacity with the rear seats up, almost exactly the same figure as the 5-series Touring and the A6 Avant. 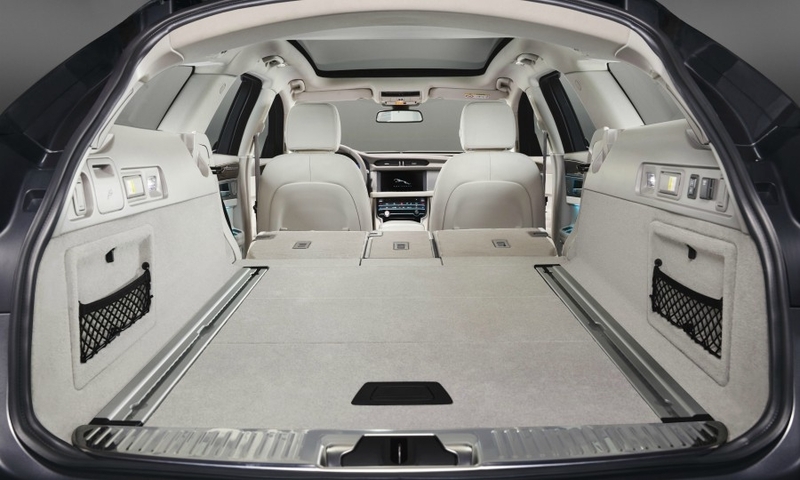 The class leader is the Mercedes-Benz E-class wagon with 640 liters of cargo space. The floor of the Sportbrake remains flat when the rears are folded, when the load capacity increases to 1,700 liters. 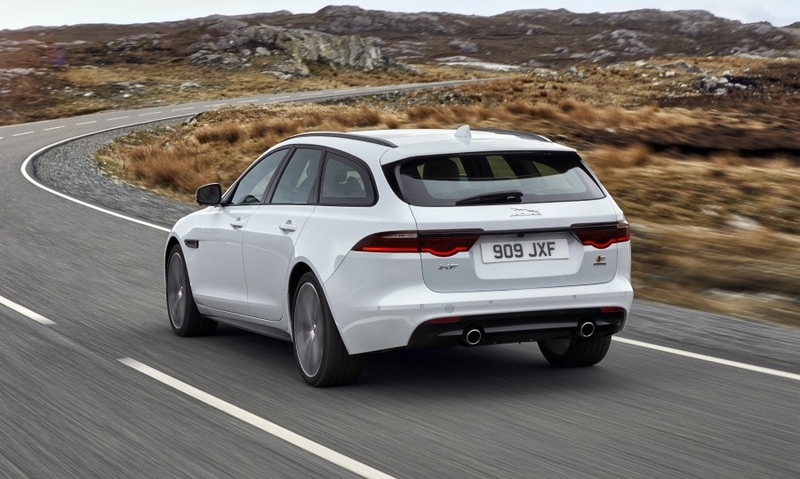 In a news release Jaguar’s head of design, Ian Callum said with its sweeping silhouette the XF Sportbrake looks just as sporty as the XF sedan. Jaguar says the car has more rear legroom than the previous XF Sportbrake despite being 6mm shorter in length at 4955mm. With the rear seats down, the XF Sportsbrake's load capacity is 1,700 lters. The wagon will go on sale in Europe in the summer. The Sportbrake’s starting price of 34,910 pounds ($43,500) in its UK home market undercuts its main rivals by at least 1,000 pounds. The A6 Avant starts at 35,980 pounds, the E-class wagon at 37,160 pounds and the 5-series Touring is almost 3,500 pounds more expensive at 38,385 pounds. It will be the first XF wagon sold in the U.S. and is expected to deliver incremental volume for the brand. Jaguar said the XF Sportbrake will be priced from $71,445 including destination charge, when it hits U.S. dealerships next winter. 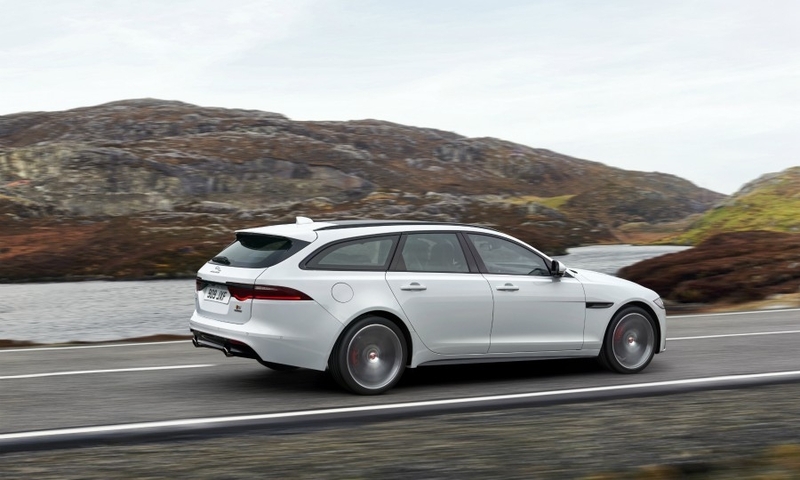 Wagons remain popular in Europe and the new model will boost sluggish XF sales in the region. 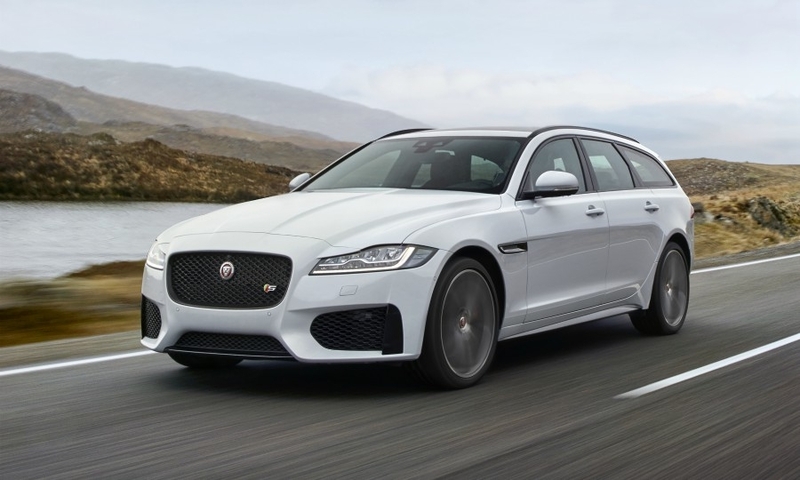 In the first four months, sales of the XF sedan fell 4.1 percent to 5,433, according to figures from JATO Dynamics market researchers. Jaguar said the wagon version of the previous XF accounted for 38 percent of that car’s sales. 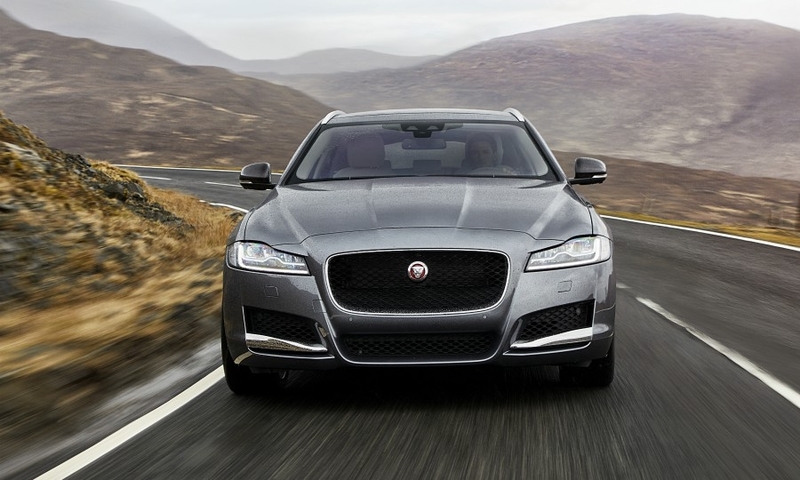 In the U.S., XF sales fell 46 percent in the five months to 1,984, according to the Automotive News Data Center. But Jaguar's overall U.S. deliveries have advanced 115 percent this year behind the all-new XE sedan and F-Pace crossover.